I can't say I am a very romantic person but I do like to make 14th of February a special day. Special doesn't have to mean a luxurious dinner or a colossal bouquet, but it does mean we will get together, hold hands and be thankful for how we have come so far as a couple and remain as deeply in love as a decade ago. While I like to surprise the hubby with a gift, I don't like to spend too much money on it and just so you know, I don't really wish to spend too much time on it too because hello, I have two kids at home yelling for my attention every five minutes. So for this year's Valentine's, I decided to get him a book he has always wanted and just to add that special, loving touch, I did a personalised DIY felt heart bookmark. It's simple, straightforward yet sincere and sweet. Care to see how it is done? Using a corner of the cardboard, draw and cut out a heart shape as shown. Try to make it as symmetrical as possible, if you are not confident of drawing freehand, use a ruler to measure and make dots in the middle and on the left and right before joining. With the cardboard as the template, trace and cut out two pieces of felt hearts in the colour of your choice. Now, it's time for stitching! You can choose to use a running stitch, hemming stitch or blanket stitch to attach the two hearts together along the two straight edges. Tip: Use an embroidery thread of contrasting colour to make it stand out. Next, let's personalise the bookmark! I like to put names so that these gifts become truly unique and one-of-a-kind. If you like, you can also stitch on shapes or even use embellishments like buttons. This time, make sure you stitch onto the front heart only. Tip: If you like a thinner font for the name, use three strands instead of the usual six. Ta-dah! And I just made a Valentine's Day gift! Easy, right? I love that these bookmarks are so convenient to use, easy to slot the page in and only jut out slightly when the book is closed. In fact, they were so fast to make that I decided to make one bookmark for each of us. Yayyy, I have a Valentine's gift for my kids and erm, myself!! I did all four in an afternoon while the girls were asleep, so if you have a chance to lay your hands on the materials, I am sure you can finish one within a short time. It's gonna make your special someone feel really special, right? So, here's wishing everyone a HAPPY VALENTINE'S DAY in advance! Stay in love and bliss always! Yay, glad you like it! I have so much felt at home, need to think of how to use them up. Haha. =p Have fun! Wow chap goh mei dinner for the whole family sounds tough! Haha. I think it's easier for me to make 10 such hearts than cook that dinner. You go, girl! =) Don't worry, every dish will speak of love, I'm sure! I'm always looking out for bookmarks for my kids. This makes such a great personalised gift for them! Thanks for sharing! You are most welcome! This is one of the easiest bookmarks but I like that it is personalised too! =) Thanks for reading! Thanks Klessis! 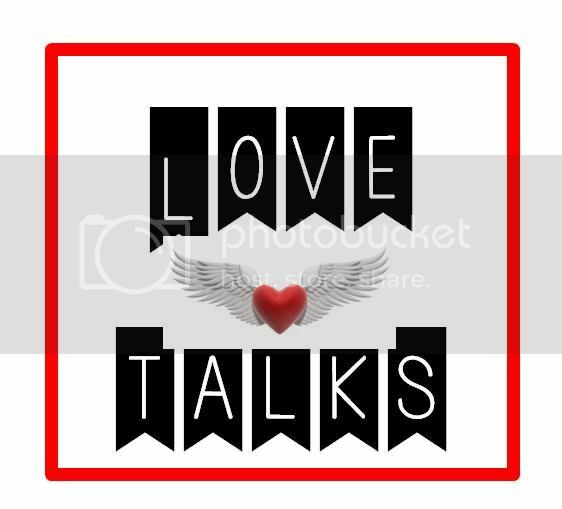 Thanks for hosting Love Talks!